No, it’s not like being somewhere between East Machias and Bangor, because there is a relationship between these two places. Might be a little rivalry or a snit of some sort now and then, but everyone heads to the city for needed appointments or to buy a pair of socks or … let’s not ignore the beckoning finger of that popular casino. In accepting this gift our board was very concerned with potential liability and obtained good legal advice regarding our responsibilities as the owner. While we have no legal obligation to restore the light, we do have a duty to the community to help preserve this very valuable part of our history and will be taking that into account over the next several months while developing a plan that best serves the community, the lighthouse and the board’s mission. 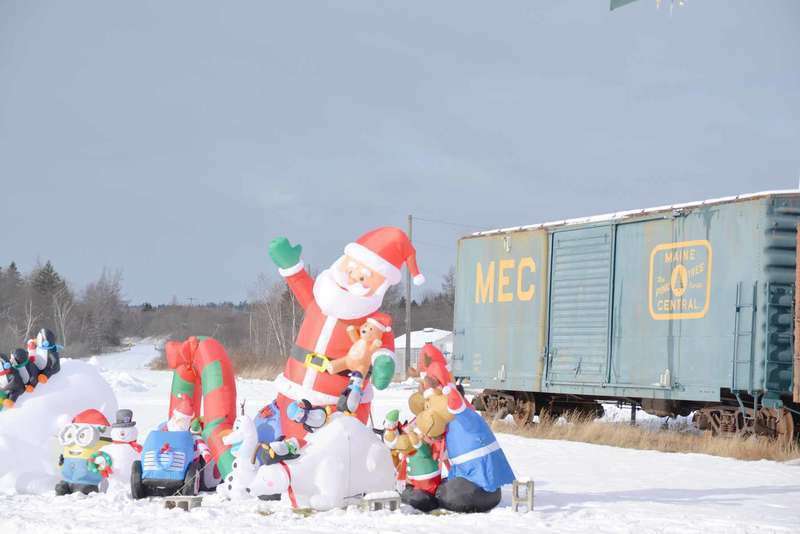 Editor’s note: In our issue dated Dec. 27, we published an article on Jonesport’s Moose Peak Light. We reported “[AMMBS] is not burdened with restoration of the lighthouse, only the boathouse above the landing ramp.” The following two letters point out that this is not the whole story. Your story about Moose Peak Lighthouse being donated to Arnold Memorial Medical Building Society (AMMBS) in Jonesport contains one major error. On Wednesday, Dec. 20 I had a heart attack. Those of you who know me probably didn’t expect that Wayne Peters would be a candidate for a heart attack, and I certainly didn’t either. Although I’m 70 years old, I am not overweight, I never smoked, I eat a healthy diet, and I work out most every day. However, at about 10:20 a.m I was putting on my boots to take my dog for a walk before I headed off to the UMM gym. The simple act of bending over caused a pressing pain in my chest and some slight numbness in my arms. Washington County is its own small world, with a total population hovering near 30,000 people. It is one large community in many ways, in large part due to its communal use of social media. Most Facebook users know that the site can be a blessing and a curse, both a useful communication tool and a black hole where productivity goes to die. I like to use Facebook to keep in touch and find out about local events, but I have certainly lost an hour or two endlessly scrolling through the feed. As we look forward to the new year, one of the big challenges facing our state is growing our workforce and keeping our economy on a roll.. In 2017, we hit record lows in unemployment and all-time highs in private sector job growth. To meet this demand, our employers need skilled workers. We are the oldest state. Record numbers of baby boomers are entering a well-deserved retirement. Employers need to replace these skilled workers. 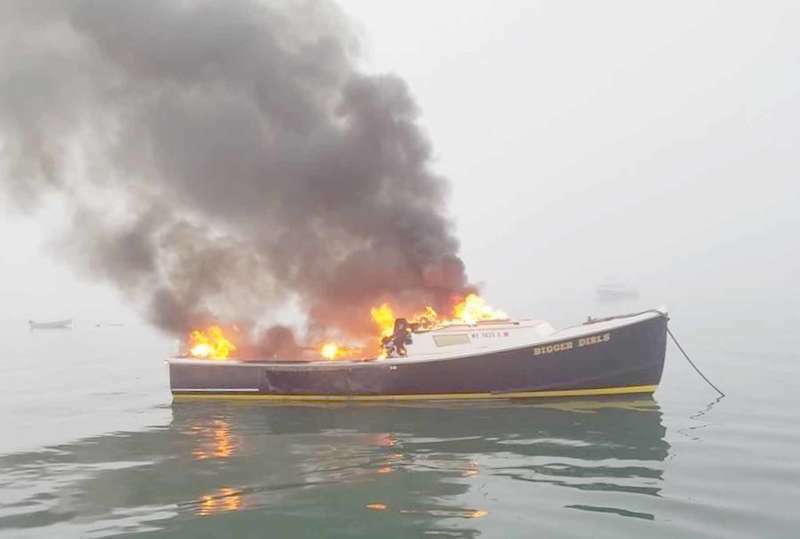 Chris Smith and his sternman were aboard Smith’s lobster boat, the Pamela Jayne, near Smiths’ Wharf in West Jonesport at sunrise September 8, 2016 when they noticed flames coming from the cabin of a nearby boat. Veteran lobsterman Steve Carver’s Bigger Dirls was on fire. Smith immediately grabbed his VHF radio mic and called the coast guard base, just a half-mile down the shore. 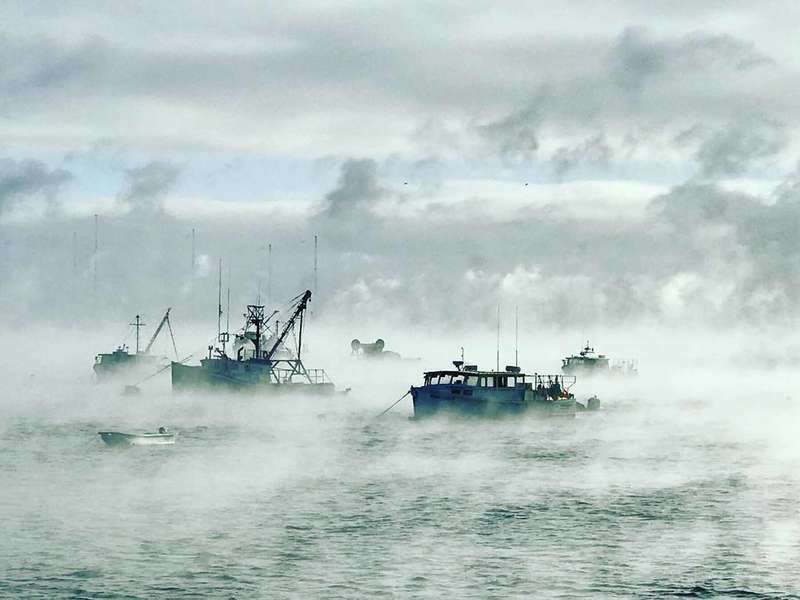 The Department is seeking one shrimp trawling vessel and captain to collect northern shrimp samples in the Maine midcoast area, making at least three trips, and conducting three short tows each trip, beginning in late January, 2018, fishing once about every two to three weeks, until the shrimp are no longer carrying eggs, perhaps near the middle of March. The Department has up to $3,450 (in total) to pay the project participant. During his presentation to the Machias Rotary Club on Nov. 28, Mike Hinerman stressed the importance of personal preparation for emergencies. “Because no matter how good the federal agency, the state agency, even the local fire departments and public works, there’s a time delay before they can get to you,” he said. Hinerman serves as the director of the Washington County Emergency Management Agency (EMA). This proposed rulemaking establishes the elver quota allocations for the 2018 season for individuals licensed under §§6505-A and 6302-A, and the method of calculating individual elver quota allocations for individuals licensed under 6505-A. 2018 allocations for individuals who held a license in 2017 will be the same as their 2017 allocations, plus any quota associated with licenses not renewed in 2017, or licenses suspended for the duration of the 2018 season, which will be distributed evenly to all license holders with an allocation of less than 50 lbs in 2017. The Washington County Commissioners will be holding a public meeting to discuss the escalating impacts of crime in Washington County. The meeting will be on Friday, January 5, at 2 p.m. in the Commissioners’ Conference Room at the Courthouse, 85 Court Street, Machias, Maine. The Commissioners invite Town Officials, Chiefs of Police, members of the press and any other interested parties to attend. The Hannah Weston Chapter, Daughters of the American Revolution will held a Report Workshop at 1 p.m., on Saturday, January 13 at the home of Valdine Atwood, 17 Colonial Way, Machias. At the last meeting members who serve as either an Officer or Chair of a Chapter Committee were given report forms to fill out. These need to be either brought to the January 13 meeting, mailed to the chapter regent, Mary Alice Look at 288 US 1, Whiting, ME 04691 or dropped off at Val’s home before the 13th. Any committee chairs who did not receive a report form are asked to call Val at 255-4432. 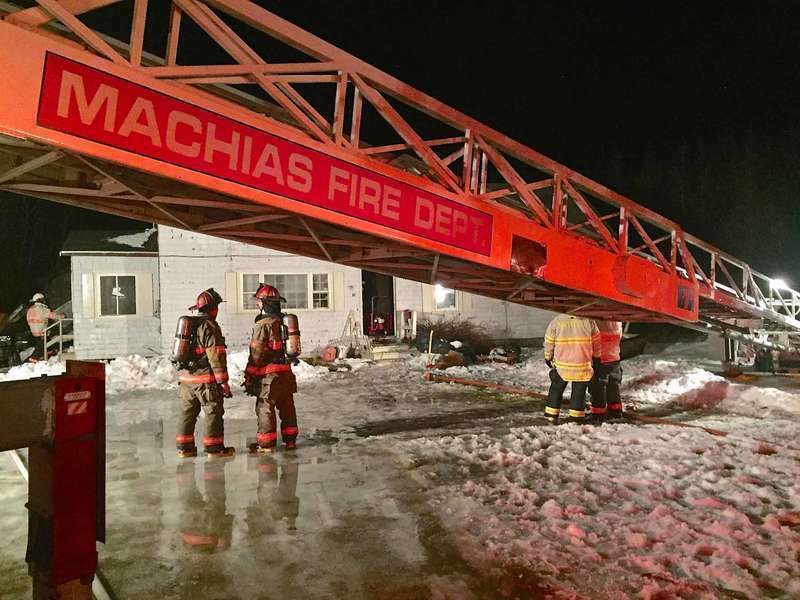 The Machias Selectboard completed its final review of the Machias Traffic Ordinance at its meeting on Wednesday, Dec. 20. The board voted to adopt the ordinance, which includes adjustments to some of Machias’ parking lot hours. 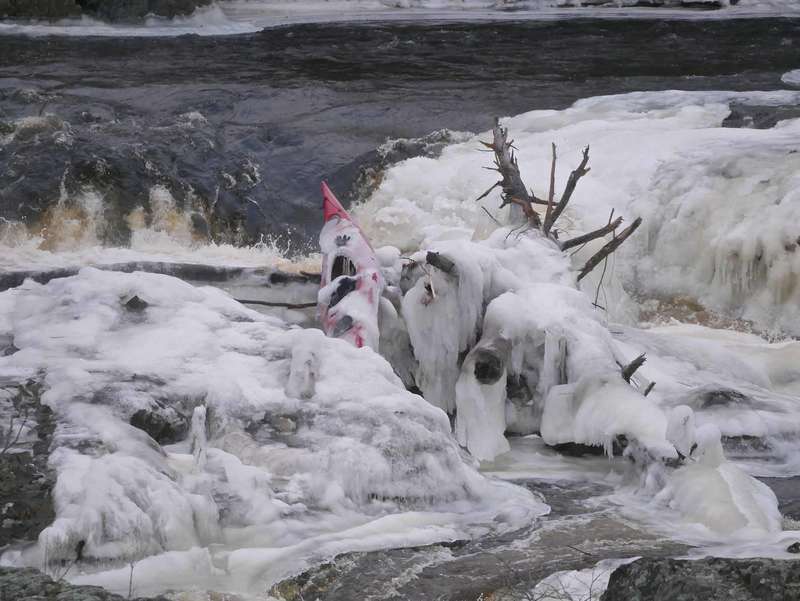 Town manager Christina Therrien said that they elected to make the parking lot by Bad Little Falls a 24-hour parking lot, so that people who were tired or facing inclement weather could find an easy place to pull over at any time of day. Over many years Washington County has gained major recognition for its native diverse talents, ranging from athletes to basketmakers. However, rarely has celebrity from the entertainment field penetrated these ranks. Broadway producer Andy Wiswell, who played in the Yale collegiate band with Rudy Vallee, won a Grammy in 1968 as best producer for “Hair,” and received further Grammy nominations for “Music Man” and Hello Dolly,” would be the notable exception. With eleven months to go before the 2018 Maine Gubernatorial public elections, more than two dozen potential governors have added their names to the list. While we have spotlighted a few candidates over the past few months, here is a brief look at who is on the ballot thus far – along with a primer on Ranked Choice Voting. 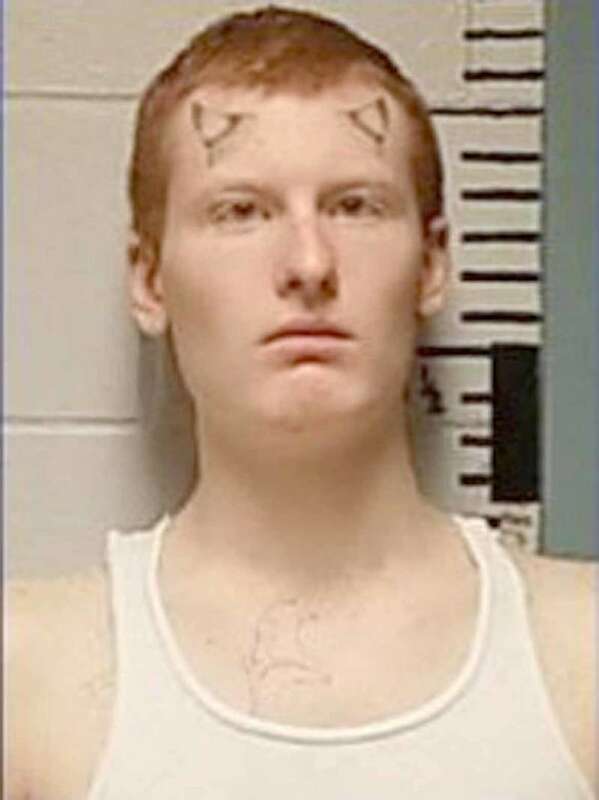 The sharply cold temperatures of Dec. 27 were not enough to cool the violent tempers of several men, at least some of whom opened fire on another man before leading police on a long-distance vehicular chase. No injuries have been reported thus far. 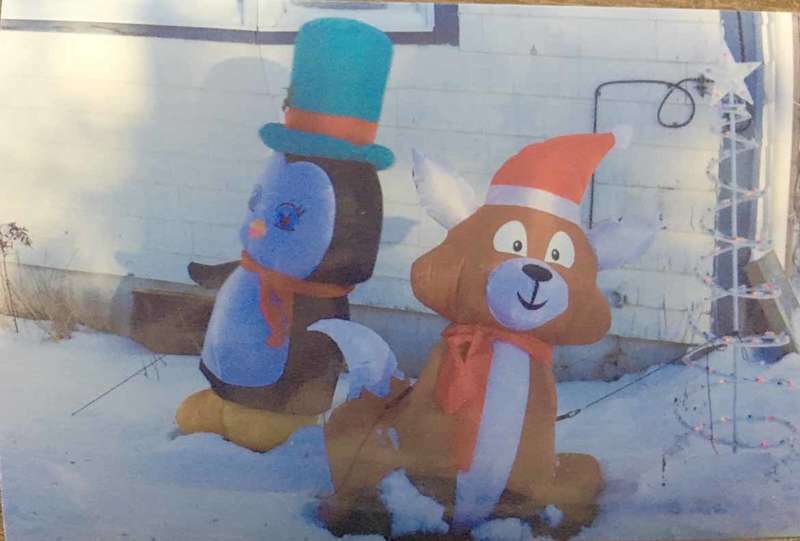 A person using a fraudulent phone number identified as the Maine Community Foundation has made calls in an attempt to solicit gifts from people in Maine. The caller thanked people for previous gifts and asked them to consider making a credit card gift or another type of gift. These calls are not associated with the Maine Community Foundation and the public should hang up immediately. Anyone with concerns about similar calls may contact the Maine Community Foundation at (877) 700-6800. The wind blew hard on Wednesday, December 27th on top of the hill on Route 192. A few trucks had to wait for the road to get plowed to continue on their route. The wind takes your breath away. Carola N. had her son John and wife Sharon come to visit on Christmas day along, with two great granddaughters Sara, Kendra and a friend. All had a great visit and all made it home safe. Also Carola turns ninety five on the twenty eighth, hopefully she receives at least ninety five cards for her birthday. Paul C. Hoyt, 77, drifted off to be with the Lord on December 22, 2017 after a brief illness. He was born in Machias February 19, 1940 the son of the late Curtis and Ida ( Mugnai) Hoyt . He attended Machias schools, and graduated from Machias Memorial High School in 1958. Paul married Velma aHurlbert in 1962. What’s the best way to distribute my personal possessions to my kids after I’m gone without causing hard feelings or conflict? I have a lot of jewelry, art, family heirlooms and antique furniture, and three grown kids that don’t always see eye-to-eye on things. Everyone knows it’s important to eat the right foods to live a long and healthy life, but many of us fall short of that ideal. We eat on the run, pulling into a drive-through and scarfing down a hamburger on the way to the next appointment. We grab a candy bar at the grocery checkout and munch it on the way to the car. The slate is clean as we start another year anew. Nobody knows what lies ahead, even as friends and family offer seasonal salutations that wish us well. As we look ahead with hopeful expectations, it doesn’t hurt to check the back track. 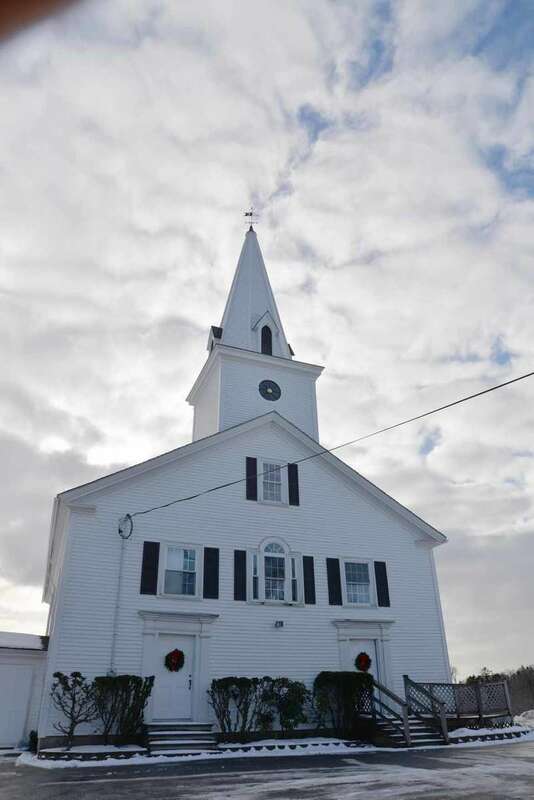 The historic Machiasport Congregational Church creates a striking profile for drivers passing through the village of Machiasport. It sits high on a hill overlooking the bay, once providing a landmark for incoming sailors. As sub-zero temperatures continue across the State, MEMA urges Mainers to use extreme caution to avoid hypothermia or even death. The National Weather Service reports that very cold air will continue across the region this weekend and through at least the middle of next week with most locations unlikely to get above the freezing mark for the foreseeable future. 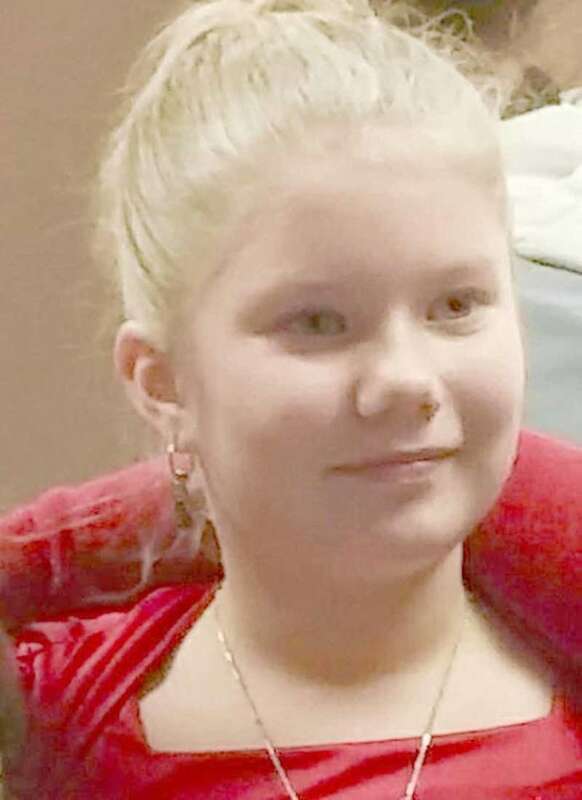 God welcomed home an angel, Keagan Jane Stevenson, 10, on December 14, 2017. Keagan was born August 18, 2007 in Bangor, the daughter of Faith Ann Mitchell and Christopher Allen Stevenson. She was a 5th grader at Rose M. Gaffney School in Machias and enjoyed gymnastics, cheerleading, and basketball. She had a passion for arts and crafts, and a love for music. 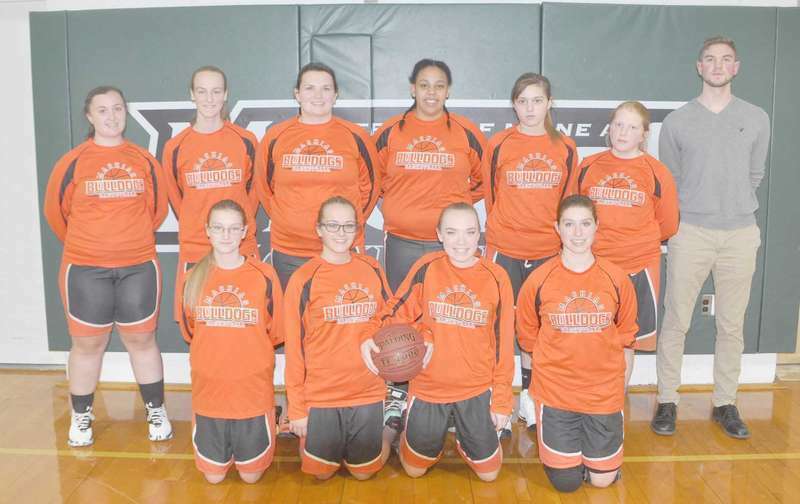 Pictured is the Machias Bulldogs Varsity squad. Members include front left -right: Dexter Moody, Noah Albert, Russell Hanscom, Alex Marotta, Alex Wentzell, Dallas Moody, Jordan Grant and Breckin Gooch. Back left - right: Head Coach James Getchell, Dustin Getchell, Evan Dray, Riley Tinker, Josh Archer, Alex Look, Tyler Wentzell, Jacob Holland, Mark Mersereau, and Assistant Coach Carl Bragg. Evan Dray earns inside position for the rebound. Where has the year gone? It does not seem possible that we will be entering into a new year. I am looking forward to health and happiness in the coming months. Christmas has come and gone; now the decorations will come down and packed away till next December. The celebration of the holidays goes to fast and January is usually a cold month with no holidays to decorate for. Growing up on a Cherryfield dairy farm made for some challenges, but it was all in good fun. It went from having a little fun off the farm such as playing in a local snowball tournament, to my father clearing snow out using a bucket tractor, and everything in between. Grab a cup of hot chocolate and join me on my snowy journey back in time. Happy New Year! With school back in session children’s librarian Patricia Brightly will be once again sharing books and reading aloud to the classroom’s at Rose M. Gaffney and Jonesboro Elementary School. She will also be sharing books with Wesley Elementary. 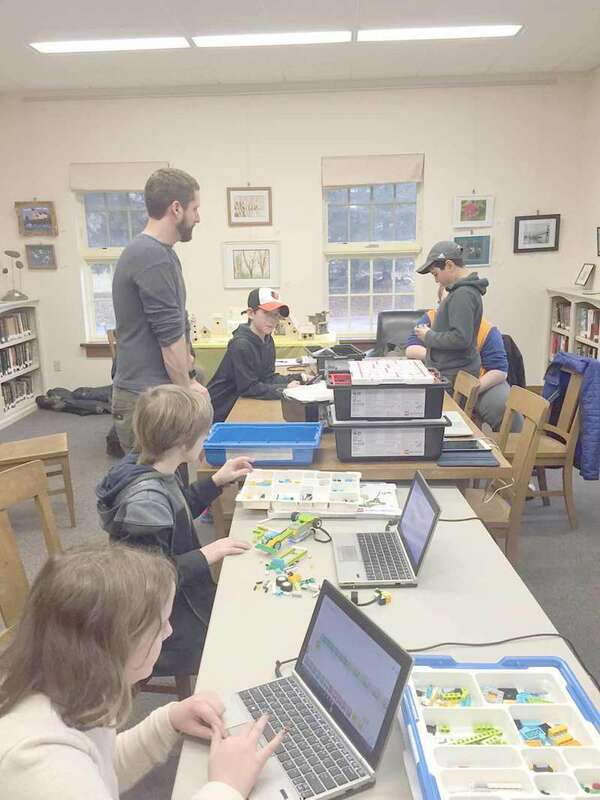 Friends of the Whitneyville Public Library will hold a Cabin Fever Craft Fair that will be held at the Hillgrove Community Building in Whitneyville on Saturday February 10 from 9 a.m. to 2 p.m. Snow date is set for Saturday February 17. Pebbles the kitten we got the kids for Christmas is hiding. What can we do? Poor Pebbles. First let’s make her feel safe. Christmas is generally is a busy and noisy time with lots hazards , not the best time to bring a new family member into house. Give Pebbles a quiet, out of the way place with her litter pan, food, water, and maybe even a stuffed toy for her to snuggle. This would be an excellent start. After getting off to a 2-0 start with a come-from-behind victory over the Presque Isle Wildcats, an easy road win at Calais, following a home loss to highly-rated Hermon and a lopsided defeat on the road at MDI, Barry Terrell’s Raiders hosted the purple Panthers of Waterville in the first-ever meeting between the two schools. Normally the Washington Academy Raiders (WA) play schools from the Penobscot Valley conference in the Big East League, but this year the schools have added a team from the Kennebec Valley conference. For the last few seasons the northern Maine boy and girl basketball tournaments have been held at the Cross Insurance Center in Bangor after the old Bangor Auditorium was torn down. For the past three seasons Narraguagus High School had the opportunity to play one regular season contest there for both girls and boy varsity and junior varsity. For the first two years the Knights teamed up with Summer High School of East Sullivan to play a regular season contest there. 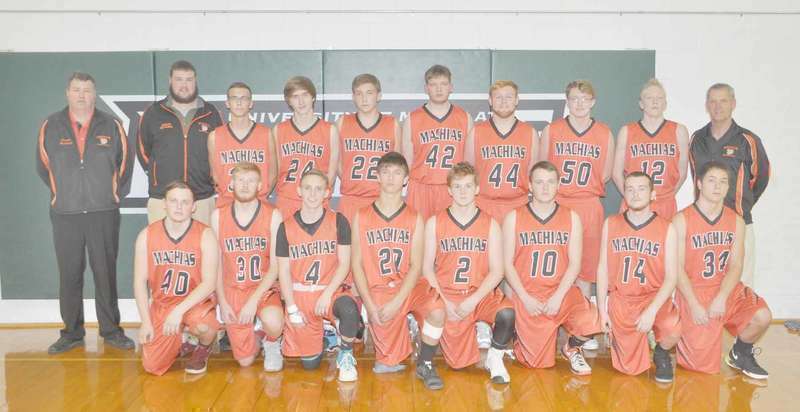 The defending state class D champion Machias Bulldogs have gone into their holiday break with a 3-2 record with road makeup games to be played at Greenville and Bangor Christian. On Dec. 18 the Bulldogs journeyed up to East Millinocket for the first ever regular season game against the Schenck High School Wolverines. The host Wolverines led all the way in that one after dropping down from class C to class D.
Schenck led 15-8 after a quarter and 28-22 at the break. Quoddy Voices Winter Follies, January 12 - 7 p.m., show tunes to chanteys, skits and more, by $10 suggested donation, Eastport Arts Center. NYC Mayor Bill de Blasio on ’The State of Democracy in America,’ a special benefit for Eastport Arts Center. January 13, 3 p.m., Admission by $25 to $100 donation at the door or at www.eastportartscenter.org. If the prescription label says “take with meals,” does it matter what you eat? I currently take eight different medications for various health problems and would like to know if there are any foods I need to avoid. It depends on the medication. Many meds should be taken with food – any food – to increase their absorption and reduce the risk of side effects. But some foods and medications can interact, reducing the medications’ effectiveness or increasing the risk of harmful side effects. George J. Fallon of Trescott Township, Maine passed away at his home the evening of December 26, 2017. George was born in Uniontown, Pennsylvania, February 20, 1934. Later his family moved to Worcester, Massachusetts. 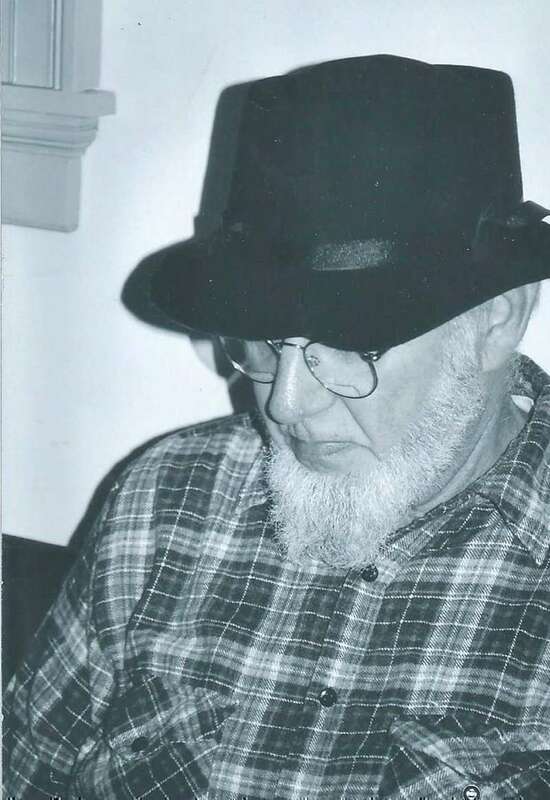 George graduated from Wilbraham Academy in 1952 and then attended Ohio Wesleyan University. He served three years in the Army stationed in Puerto Rico. George moved to Maine in the 1950’s and called Maine his home for the rest of his life. George studied for the ministry for some years at Boston University and graduated from University of Maine at Presque Isle. 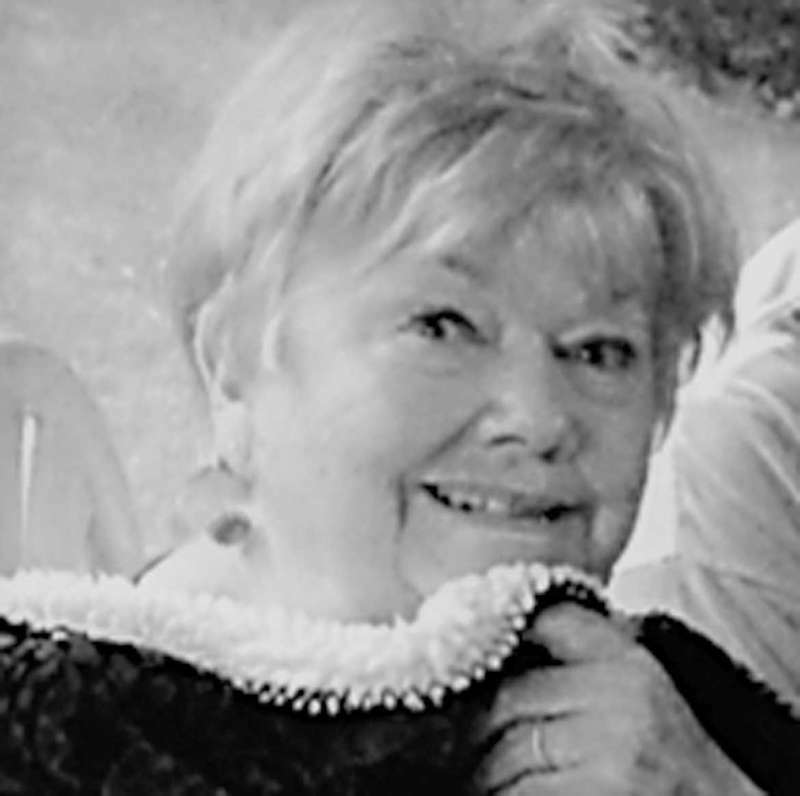 Emily van Duyvendijk Ginsberg of the Gouldsboro village of Corea died Saturday, December 16, 2017 at a Portland hospital after a brief illness. She was 73. At the time of her death, Emily worked in Ellsworth as a family and individual counselor with the Bangor-based Community Health and Counseling agency, bringing to that job in 2008 some 40 years of experience of assisting individuals, families and small groups in dealing with domestic violence, child neglect issues and sexual assault. Nice job boxing out by senior Amber Heath. Jasmine Bell hustling the ball down the floor. Machias senior Lady Bulldog Kassandra Cox taking the ball into the lane. The coaching profession today isn’t what it once was. In the old days a coach for the most part taught at the school and he or she coached at. Lots of schools hire a health and physical education teacher or someone else in the school system. In many cases today a school’s basketball coach has no affiliation with the school and in many cases a lot of coaches don’t seem to last more than a few years. The University of Maine at Machias (UMM) Clippers men and women’s basketball squads made a two-day trip to New York to play Berkeley College of Brooklyn and the State University of New York at Delhi prior to going on their holiday break. On Dec. 17 Troy Alley’s club faced the powerful Berkeley Knights at Brooklyn. The Knights pretty much had their own way with the Clippers and got ahead early before going into the halftime break on top 51-21. With the 2017/2018 high school basketball season approaching the halfway point, two local high school girls’ teams are experiencing losing seasons which may not produce a win. 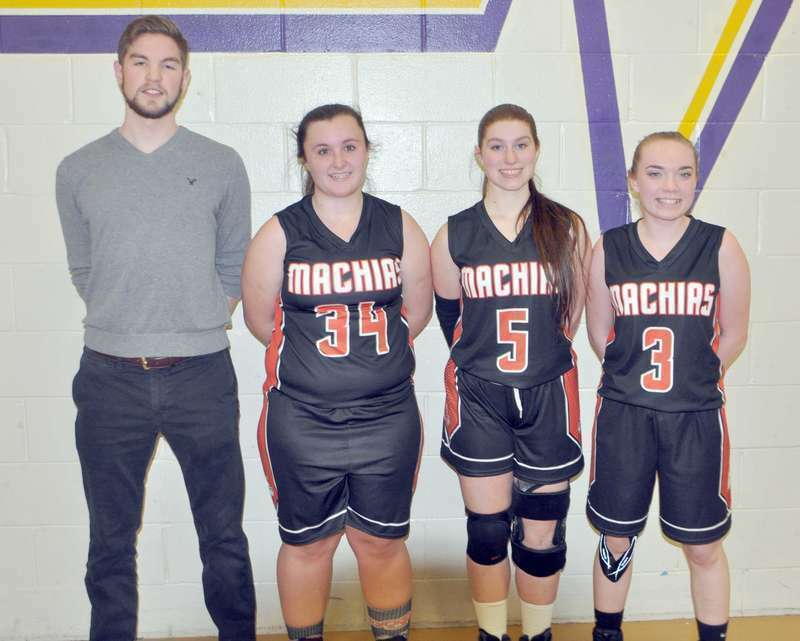 The Machias Lady Bulldogs and Washington Academy Raiders have yet to win a game, and lopsided losses have become a common theme for both squads. There are different reasons for each school to be competitive in Class D for Machias, and Class B for the Raiders. After back-to-back losses to Hermon and Mount Desert Island, the Washington Academy (WA) Raiders boys are back on track with consecutive victories over Waterville, John Bapst, and Caribou which gives them a 5-2 record. On Dec. 27 the Raiders hosted the John Bapst Regional High School Crusaders of Bangor at Gardner gym in East Machias. The Narraguagus boys’ team got wiped out by graduation last year and had to go into the 2017-18 basketball season facing a very demanding schedule against some of the top teams in northern Maine Class D, C and B.
Ryan Fletcher’s Knights picked up their first victory of the season on Dec. 19 when they hosted the Shead Tigers of Eastport at Harrington. The host Knights got off to a great start against Nick Bradbury’s Tigers. ‘Gugagus outscored the Tigers 18-0 in the first eight minutes and held a the edge at the halftime break. There was a day when Ski-Doo was simply a generic name for a snowmobile. Early on, as I recall, Ski-Doo was the only game in town. In the early 1960s you went “ski-dooing,” not snowmobiling. The machines were the invention of Canadian Joseph-Armand Bombardier. Although the inventor worked many years trying to come up with a snow-going machine, the Ski-Doo didn’t hit the commercial U.S. market until 1959. According to the Calais Police Department, Brittany Wescott has been arrested on charges of aggravated attempted murder, attempted murder, conspiracy to commit murder, and aggravated trafficking in scheduled drugs following the incident that took place in Calais on Dec. 27. Wescott turned herself in to the Washington County Jail at approximately 1:30 p.m. on Jan 3. A new community group is forming in January that will give knitters of all levels a chance to gather, learn, help each other and socialize in an informal, fun atmosphere. Sit and Knit will hold its first gathering at 6 p.m. Tuesday, Jan. 16, at the Machias Bay Chamber of Commerce train station. Snow date is Jan. 23. There is a nominal fee. A public meeting scheduled for Saturday, Jan. 13 will give the community a chance to learn how the lowly clam shell could help save the endangered Atlantic salmon. Hosted by the Downeast Salmon Federation (DSF), the hearing will be facilitated by the Department of Environmental Protection (DEP). The DSF will be filing an application with the DEP for an experimental acid rain mitigation plan on a tributary of the East Machias River. A promised public meeting on Jonesport’s Ice Hill South has been postponed pending the collection of further information, according to Selectman Harry Fish Jr. 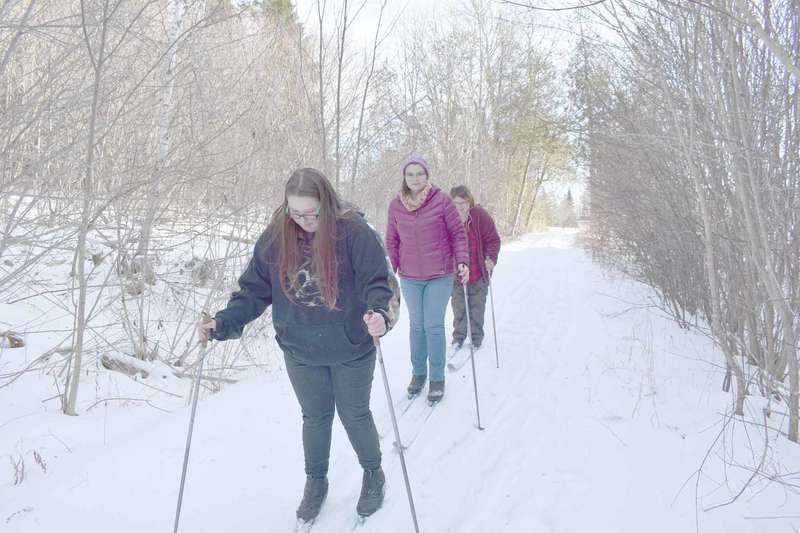 Contacted by telephone, Fish said that at their January 3 meeting the selectmen decided to contact all five landowners on the lane to see if they would waive payment for any decrease in their property values if the town discontinued the road. 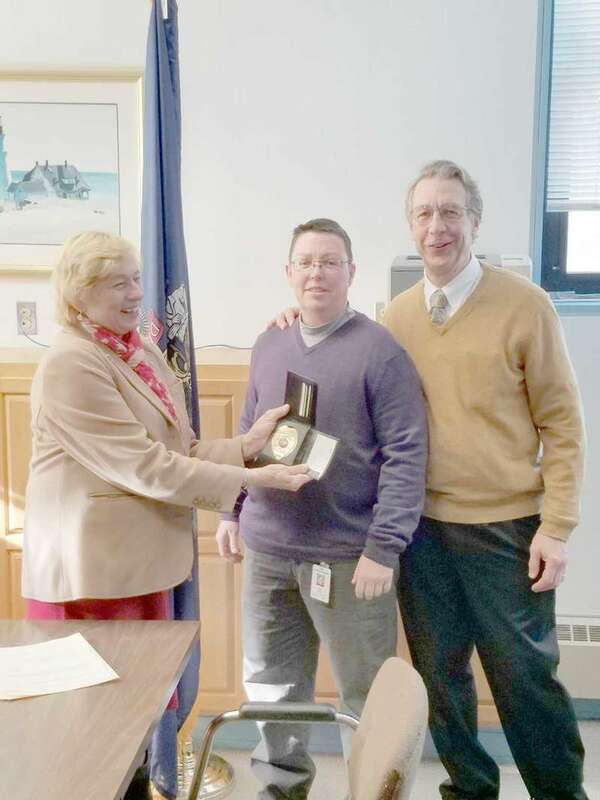 Attorney General Janet Mills swore in Dr. Lisa R Funte as Maine’s Deputy Chief Medical Examiner at the Office of the Chief Medical Examiner on Wednesday, January 3. Dr. Funte most recently served as the Deputy Chief Medical Examiner in Mississippi for 5 years and has worked as a medical examiner since 2006. She has also taught undergraduates and medical students in biology and pathology for 30 years. The public is invited to attend movie night at Beals Heritage Center on Tuesday, Jan. 16 at 6:30 p.m. The evening’s movies will consist of interviews of Isaac and Eva Beal and Tecky and Etta Drisko. A spokesperson for Emera Maine confirmed that roughly 950 residents around the Machias area awoke to no electricity on the morning of Saturday, Dec. 30. Emera was able to reroute service immediately to restore power to half of the downed homes, and then sent crews to the area to conduct the repair. They discovered that a line had broken close to a pole, likely due to age and the extremely low temperatures. Power was restored to all affected homes within four hours. Machias Police Chief Grady Dwelley confirmed that a robbery took place on Sunday, Dec. 31 in Machias. An unidentified person made off with an undisclosed amount of money from the Machias River Inn. The robbery took place at approximately 7 p.m., but the gender of the thief could not be determined from witness descriptions. Dwelley declined to comment on the use of a weapon. Focused on urgency and bipartisanship, this upcoming legislative session is predicted to come up with a new bill that will incorporate the findings of its task force. The Task Force to Address the Opioid Crisis was appointed in March 2017 and given one year to study and make recommendations for aggressively tackling the unprecedented epidemic that continues to ravage Maine. “This new report is the possible basis for a new bill,” said Rep. Will Tuell last week. One of Lubec’s most prominent landmarks has fallen into the sea, and then set sail upon it. The brining shed, part of the McCurdy Smokehouse complex on Water Street, collapsed during the blizzard of Thursday, Jan. 4. It may be difficult to appreciate the need for the Maine Legislature to address the online burn permit system in these cold and snowy months. Nevertheless, wildfires will reoccur in Maine with the start of spring. In fact, Maine averages 500 wildfires each year and issues over 100,000 fire permits. 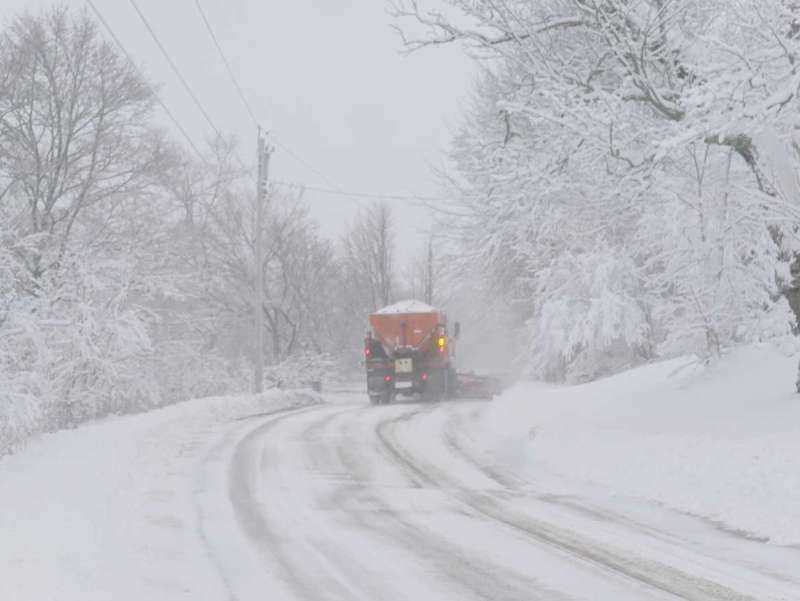 The blizzard that hit the northeast on Thursday, Jan. 4 cancelled one and a half days of school for local children, and also delayed the Washington County Commissioners meeting previously scheduled for Friday, Jan. 5. That meeting, set to discuss the issue of a recent crime increase, took place on Monday, Jan. 8 and we will have the full story for you in our next issue. I hope everyone had a wonderful Christmas. The Peterson’s had a lovely one. Welcome to 2018! How many times will we mistakenly write 2017? We will see. 2017 went out leaving us with frigid temperatures! Stay in and keep warm! Happy belated birthday to Katrina Hatt. Mike and Tracey Peterson are having cake and ice cream at their new home in Harrington. Now that hunting season is over, deer, turkeys, and other wild creatures are frequenting the feeding stations thoughtful people set out for them. I was recently told about a heart-warming, miraculous story with a message about never giving up hope. It has been a three year journey for “Cinda”, Laura Merrill’s cat. 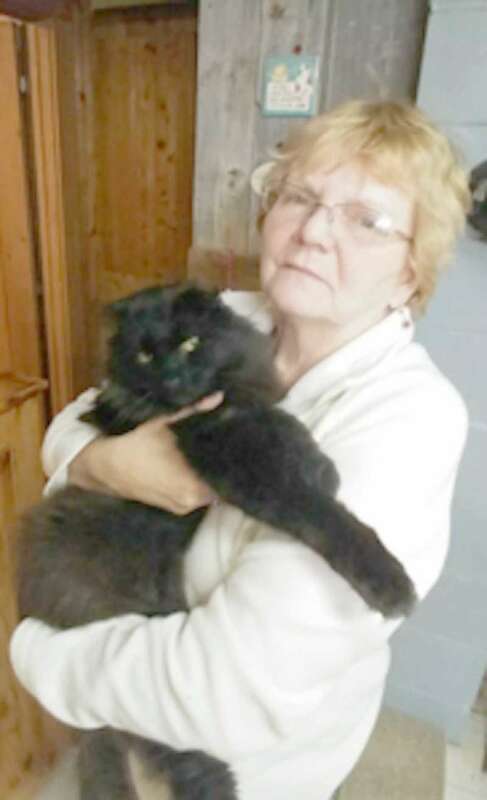 She had been missing from her Milbridge home for three years and has now returned. 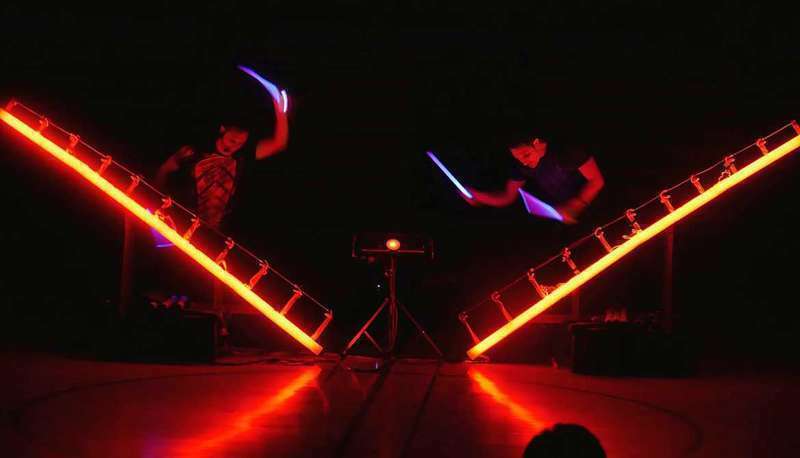 Victor “Vic” Kunitsky and Vicki Lutz will perform from 2-4 p.m. at the Henry D. Moore Library and Community Center in Steuben during the first of the library’s winter concerts. Kunitsky, a country/Americana singer and songwriter, will perform music from his 2017 CD release, “The Shores of My Youth,” along with select cover songs. Lutz will sing a few duets with him. 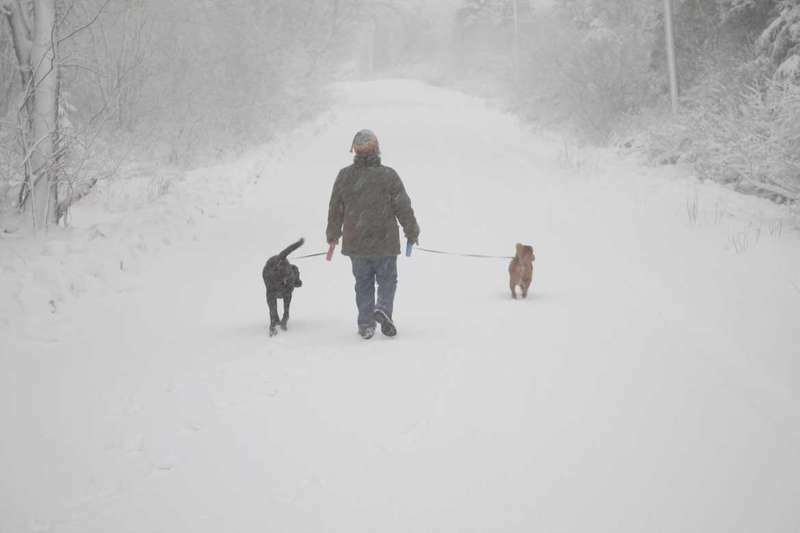 Tanya Ruscosky of Addison and her dogs ventured out into the storm that hit all of the northeast on Thursday, Jan. 4. Snowfall totals Downeast came in significantly lower than predicted, but rainfall and icing made travel treacherous. Photo courtesy Tanya Ruscosky. Happy New Year! It does not seem possible that another year has arrived; hopefully this year will bring better health to my household. Well, we made it through the first blizzard in the new year with no power outage. Looks like we will continue to have the cold weather stay with us. There was no school on the fourth and then we had a two-hour delay on Friday, Jan. 5. The road to Woodland on Friday evening with the Narraguagus Knights wasn’t great but we made it to and from without incident. Let’s just say I was glad to get back in my driveway that evening. 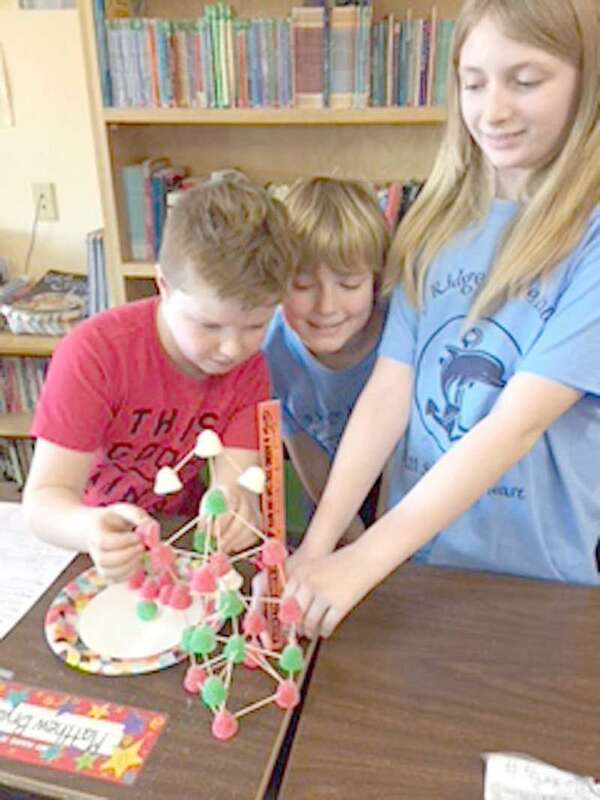 Sorry to hear about the passing of Aubrey Carter on Dec. 30 in the early morning at Machias Hospital. Condolences to his wife Jean and the rest of the family. Aubrey and Jean were the best neighbors when they lived on the hill in Wesley. I miss visiting them and having tea. He will be missed by all the friends and neighbors in Wesley. Ruth Ann and Eric went to Falmouth to have a late Christmas brunch with family last weekend. They had a great time visiting both families. 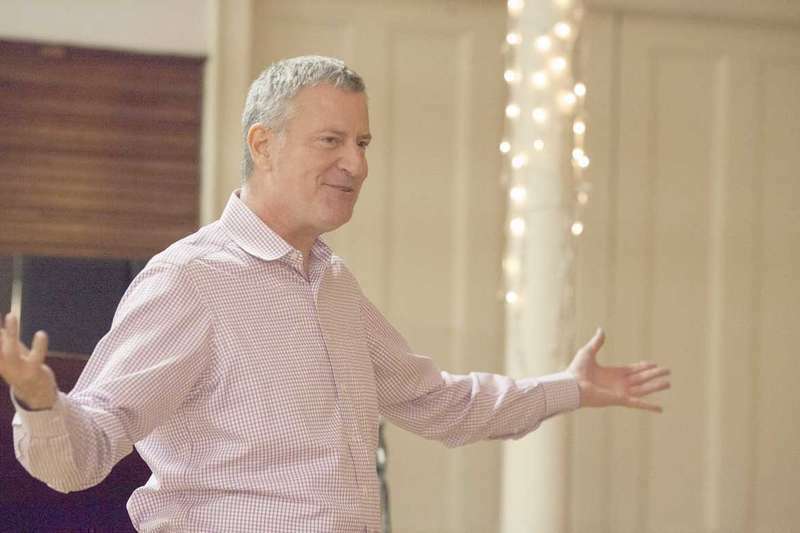 The Eastport Arts Center (EAC) is excited to announce the appearance of Bill de Blasio, the mayor of New York City, on Saturday, Jan. 13 at 3 p.m. Mayor de Blasio will give an informal talk on “The State of Democracy in America” and take questions afterwards. EAC is particularly proud to present a nationally recognized politician in a rare visit to rural Maine. This event is a special benefit for the arts center, in support of its many programs. Once again, the federal government is going against the will of the voters. Jeff Sessions is rescinding an Obama-era policy and going against the states that have legalized marijuana. I am not on a rant about marijuana. I am tired of our elected officials running their own agenda. This also goes for state officials. We vote in a ballot initiative and our governor refused to release the money. I have voted every chance I got for the last 47 years and now I just feel it is a waste of time. Our government is broken, they do what money boys want. During a torrential afternoon rainstorm in 1994, I looked up from my desk in the Bagley Building and here was this totally bedraggled dripping wet woman with an outstretched hand. “Hi, I’m Susan Collins and I’m running for governor of Maine,” she said. Twenty-three years later, alternately praised and criticized from both sides of the political aisle, Susan Collins is a household word operating on a national stage. She dominates the political landscape with unprecedented courage and unswerving loyalty to a constituency uniquely her own. Having served three terms in the Maine House of Representatives and one term in the Maine Senate, Senator Joyce Maker (R-Washington) has decided not to run for reelection in November 2018. Our constitutional right to direct democracy is under attack in Maine. This year, our Legislature has overthrown the results of a free and fair election by blocking all four of the November 2016 citizen-approved referenda in one way or another. Now with this latest bill, they are trying to stop the people from exercising our right to petition our government by blocking our access to the polls. Quoddy Voices, Eastport Arts Center’s international community chorus, will present a Winter Follies show on Friday, Jan. 12 at 7 p.m. The show will be a welcome diversion from the icy doldrums of midwinter and a showcase for the myriad talents of the musicians who are part of the Quoddy Voices fold. The audience will be treated to musical performances of all kinds, ranging from chanteys to show tunes, as well as comical skits. Dalton Young will preside as master of ceremonies. There will also be the opportunity to socialize with choir members and friends after the show. One of Shakespeare’s beloved romantic comedies comes to life on stage on Saturday, Jan. 20, in Children’s Stage Adventures’ new musical adaptation of Shakespeare’s Midsummer Dream. 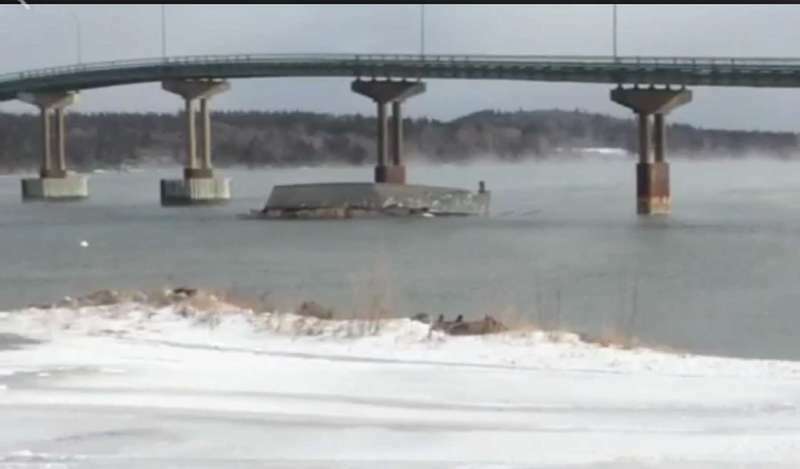 During the large storm that hit our region on Thursday, Jan. 4, the Lubec brining shed collapsed and the Machias River climbed high into the parking lot between Helen’s Restaurant and the town dock. 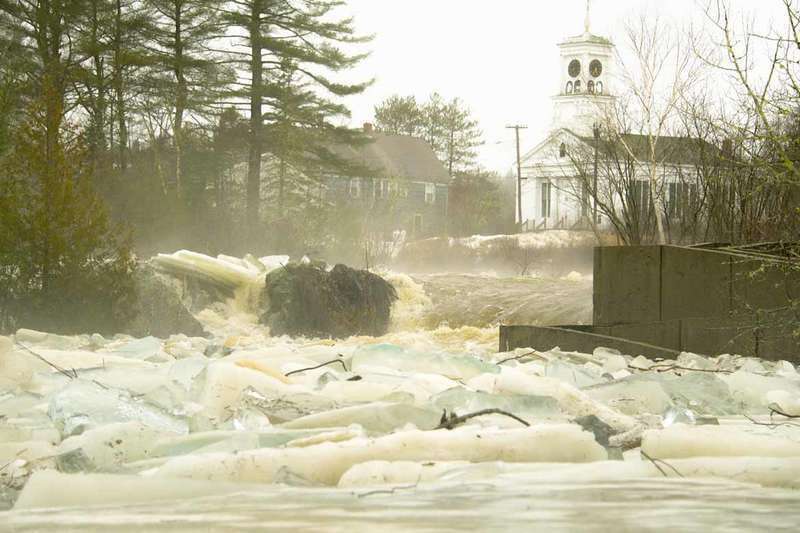 In recent months, we’ve seen that water come up and over the dike frequently, and according to Professor Tora Johnson at the University of Maine at Machias, these events will increase in frequency as time goes on. On behalf of the 178,000 unpaid family caregivers who reside in our state, AARP Maine applauds Senator Susan Collins for her leadership in sponsoring the Recognize, Assist, Include, Support, and Engage (RAISE) Family Caregivers Act. AARP was pleased to endorse this important legislation and we thank Senator Collins for her efforts to work on a bipartisan basis to support family caregivers here in Maine and across the country. Recently, Americans who had high healthcare costs faced a big tax increase just because of their medical expenses. Senator Susan Collins was one of several leaders in Congress who fought back against the measure. She and her colleagues helped to ensure the medical expense deduction was maintained, including restoring a 7.5 percent income threshold for two years. This allows families to deduct large expenses like wheelchairs, prescription drugs and home care costs. Why do these New Year’s resolutions always mean restrictions? When each new year rolls around it brings a slew of resolutions -- almost always destined to fail and almost always designed to be a lifestyle subtraction. Taking off pounds or giving up drinking probably head most of these vows for the coming year -- but whatever the resolution, why a negative, why is something being taken away? Why not promise to be kinder, pay it forward, do something good for somebody else, if not daily, weekly? Why not a positive, which these resolutions never seem to be. At long last, here are the results of my fishermen’s survey. I had planned to do an analysis of every question, but this cold has kind of gummed up the works, so I’m going to try and hit on a few things here. Know a high school student interested in learning more about ways to explore the outdoors during winter? Curious about how to get into rock climbing? Wanting to give sea kayaking a try? The Cobscook Experiential Program has just the opportunity. The Sunday afternoons series, a winter offering of informal and interactive programs every Sunday at 3 p.m. at the Eastport Arts Center, will feature local music educator and musician Kris Paprocki on Jan. 21. Historical and traditional music of Downeast Maine is the focus of Paprocki’s presentation, titled “I Hear Washington County Singing.” In the past, working men and women wrote, sang, and recited songs and poems describing their everyday lives. Paprocki has researched extensively to find songs and poems written in Washington County. 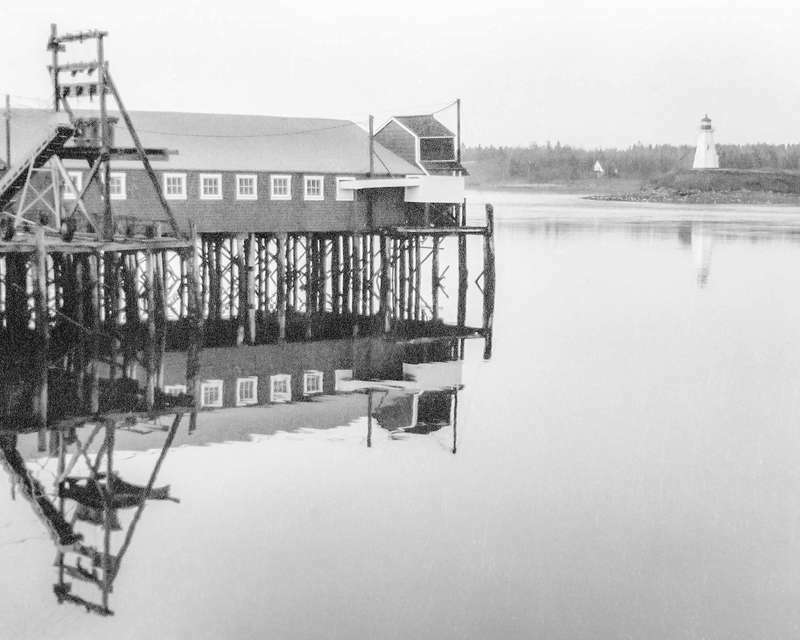 After collapsing off its pilings during a storm on Jan. 4, the Lubec brining shed sailed itself under the International Bridge to land on Campobello Island, where it rests today. The event has sparked strong emotion and controversy on both sides of the border. Once we learned that we could speak directly to the Lubec brining shed via its Facebook page, we submitted a formal interview request. Though the shed went to pieces over the weekend, it found time to respond to our query. What was life like when you were a young brining shed? Heavy amounts of rain flooded many roads in Washington County last week, loosening up the ice and pushing the large chunks onto the banks of our local rivers and ocean shores. 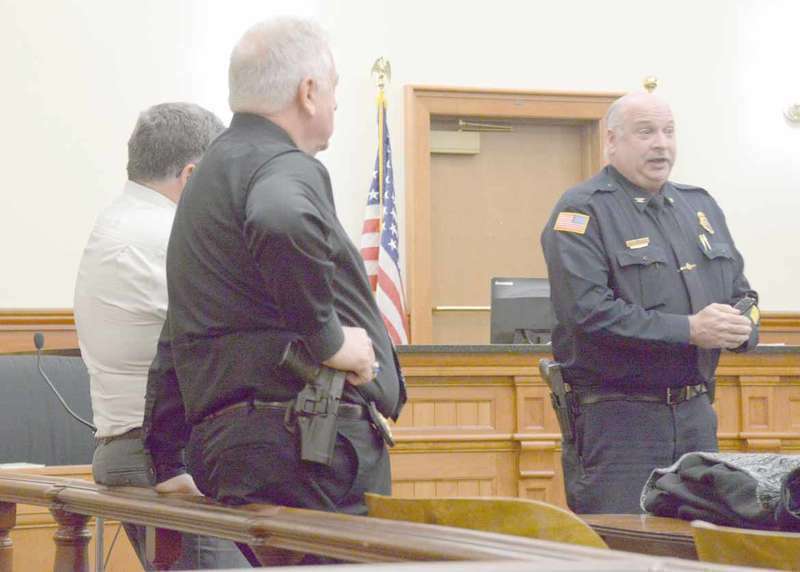 County commissioner Chris Gardner led a special commissioners’ meeting at the Washington County Courthouse on Monday, Jan. 8 to discuss the escalating impacts of crime in Washington County. Despite slippery roads and a prior weather cancellation, courtroom number one was filled with local law enforcement, selectboard members and concerned citizens. A headline in last Sunday’s Wall Street Journal reads, “On This Border, The Problem Is a Shed, Not a Wall,” referring to Lubec’s wayward brining shed. 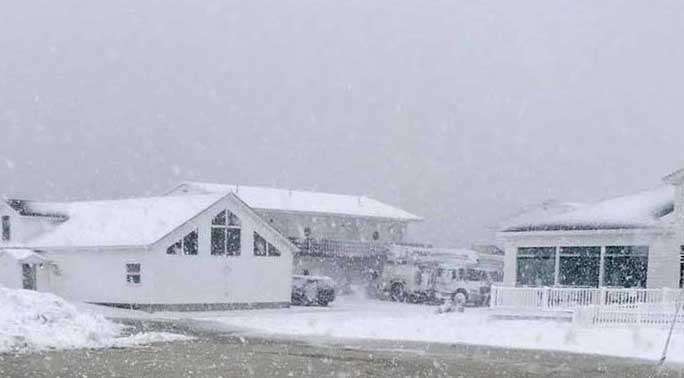 After a fierce storm hit Downeast on Thursday, Jan. 4, the historic shed collapsed, then drifted to the shores of Campobello Island where it has been lodged ever since. 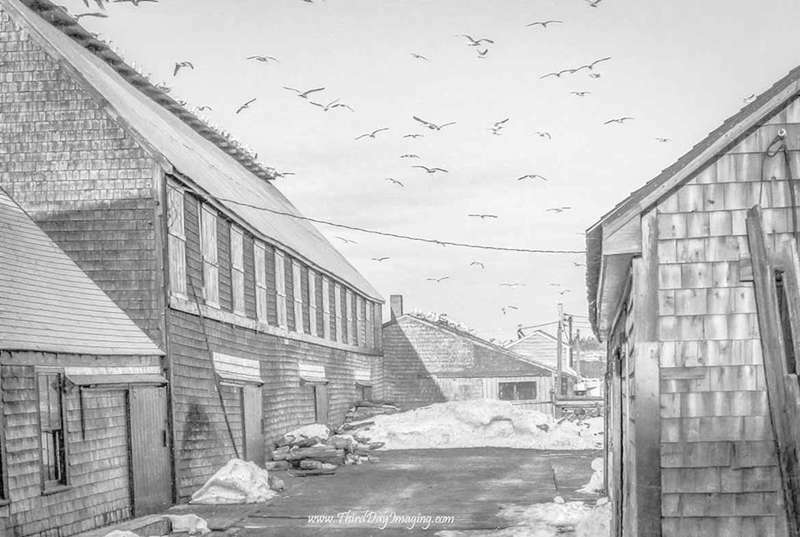 The shed was once the first place where incoming sardines were unloaded to begin their path through the McCurdy Smokehouse complex built along Lubec’s Water Street. Last week following unanimous passage by both the House and the Senate, the RAISE Family Caregivers Act next landed on Pres. Donald Trump’s desk, soon to be signed into law. Harry Fish Jr., a Jonesport selectman who recently took on the role of his town’s representative to the Pleasant River Solid Waste Disposal District’s board of directors, told his fellow selectmen January 10 that he had persuaded the board to change its way of voting. The Washington County Sheriff’s Office reported that on Wednesday, Jan. 10 at approximately 4:45 p.m. a 911 call came in from the Dollar General Store located at 481 Route 1 in Pembroke, reporting an armed robbery. A white male subject, 6’1 to 6’2, wearing a white jacket, a black hat and a black face mask covering part of his face displayed a handgun at the clerk and took cash from the drawer and fled on foot from the store, running towards Route 1.